Pro Media Nav, Bluetooth, Leather, Heated Seats, Full Dealer History. 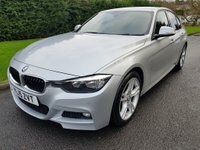 2015 15 BMW 3 SERIES 3.0 330D M SPORT 4DR AUTOMATIC Pro Media Nav, Bluetooth, Leather, Heated Seats, Full Dealer History. An immaculate example of this epic BMW Model. Finished in bright Titanium Silver with Full Black Dakota Leather Upholstery. This is the awesome 6 Cylinder 3.0 Litre Diesel model which provides staggering performance but still returns excellent fuel economy... The best of both worlds!!! Being the 'Flagship' M-Sport Model she comes with a superb level of specification as well as this car having some rather nice optional extras. 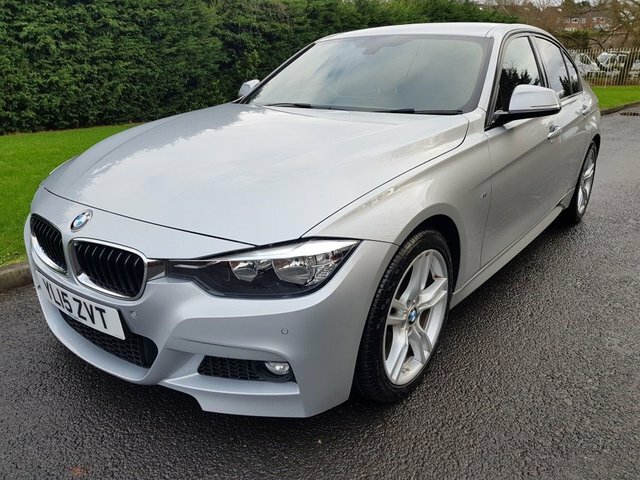 This car is in excellent condition throughout and comes with a super Full Dealer Service History. ( 1X BMW & 1x Stoneacre). We are in receipt of both original remote keys and we have all the relevant documentation present to complete a sale. The car drives 100% and feels like new to be fair...... As usual this car will come with our complimentary 6 Month Warranty which is extendable upon request. Why not give us a call and enquire about the low rate finance ewe can arrange and our excellent part exchange prices.